Providinig from 800 to 5,500 kg of centrifugal force with 2, 4, 6 or 8 poles, the Explosion-Proof range of MVE-D External Electric Motovibrators is suitable for application on drilling fluid recovery systems in oil and gas extraction, as well as for sand dewatering equipment in fracking operations. MVE-D come with ATEX ExII2GD and ETL Class I, Division 1 and Class II, Division 1 certification, for application in the presence of potentially flammable dusts or gases for which explosion-proof design of the motor is specified. In addition, MVE-D have an international IECEx certification. 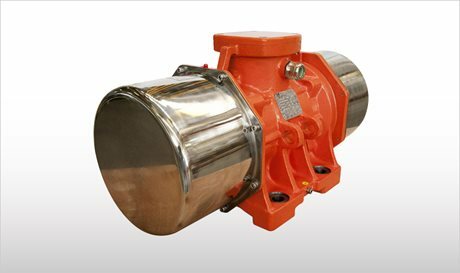 Explosion-proof MVE-D External Electric Motovibrators can be used as flow aids on hoppers or silos to improve material discharge, or as drives for conveying, screening, dewatering or fluid recovery on vibrating machines, especially in the oil & gas industry, and occasionally in the recycling sector.